Want to find a career that fits your skills as well as your personality? 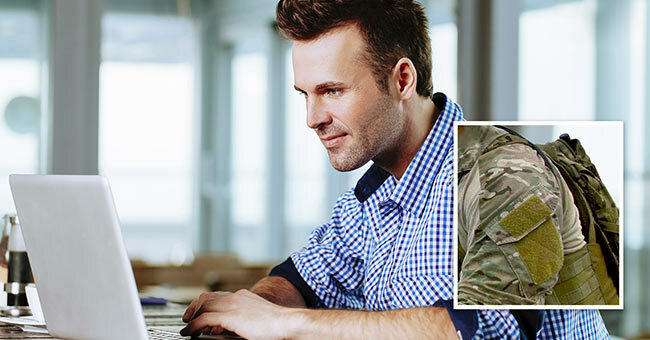 Military.com's Military Skills Translator + Personality Assessment matches you with the best career paths and job based on your military experience and personality characteristics. Start today! In the ever-changing employment landscape, what are the current best companies for veterans to work? Forbes, with a research assist from Payscale.com, has tackled the question from a particular angle, analyzing companies that employ a large number of veterans and also have jobs available that match military skills and experience -- specifically, skilled labor positions. Below are the top 10 military employers in the country, based on skilled labor criteria. Business: Provides consulting services to the U.S. government in defense, intelligence, and civil markets, and to major corporations, institutions, and not-for-profit organizations. Mission Statement for Veterans: "Booz Allen has maintained a deep and long commitment to the nation's military community that began with our work assisting the U.S. Navy at the dawn of World War II and continues today with the Military Health System, the Department of Veterans Affairs, and our many engagements with the Department of Defense and armed services." Business: Fortune 500 company provides scientific and technical products and services that contribute to the security and well-being of communities throughout the world. Mission Statement for Veterans: "SAIC has a long-standing commitment to supporting military veterans and their families. The company currently employs more than 10,000 military veterans, comprising nearly 25 percent of SAIC's workforce, and was ranked No. 24 on G.I. Jobs Magazine's Top 100 Military Friendly Employers list." Business: Designer, systems integrator and manufacturer of military aircraft, defense electronics, precision weapons, commercial and military aerostructures. Mission Statement for Veterans: "We employ thousands of veterans worldwide and are committed to hiring and assisting our military-experienced candidates and employees. You bring a unique set of skills to our company, and have a first-hand appreciation for our business, products, and services. We value the training and leadership development that candidates gain from their military service and experience." Business: L-3 is a prime contractor in Command, Control, Communications, Intelligence, Surveillance and Reconnaissance (C3ISR) systems, aircraft modernization and maintenance, and government services. Mission Statement for Veterans: "L-3 is proud to employ more than 15,000 veterans of the U.S. military, helping them use their unique training and skills to meet our customers' needs. Many of L-3's top business leaders are former military personnel who provide critical insight and support for using L-3's advanced technology and services to protect our country's freedoms." Business: Headquartered in Bethesda, Md., Lockheed Martin focuses on Aeronautics, Electronic Systems, Information Systems & Global Solutions, and Space Systems. Mission Statement for Veterans: "At Lockheed Martin, we have a long-standing commitment to successful job transition for America's veterans -- providing opportunities for them to continue contributing to the security of our nation even after their military service." Mission: As the nation's largest employer, the Department of Defense provides the military forces with what is needed to deter war and to protect the security of our country. Business: BAE Systems is a global defence, aerospace and security company with approximately 100,000 employees worldwide and a primary focus on five home markets: the US, UK, Kingdom of Saudi Arabia, Australia and India. Mission Statement for Veterans: "At BAE Systems, 'We protect those who protect us' is a mantra that we take to heart. It defines our commitment to our customers, our employees and especially to those individuals who have contributed to 'protecting us' directly as a member of the military service. It is our goal to provide mission-centered work that veterans and reservists alike can identify with, contribute to, and become passionate about." Formerly known as CSC, DXC is a leading information technology (IT) services company. Mission Statement for Veterans: "We help transitioning veterans with one-on-one assistance during their career search. We value America's military community for its loyalty, diversity and strong work ethic. We will help you realize your professional aspirations through valuable career choices. " Business: CACI International provides professional services and IT solutions needed to prevail in the areas of defense, intelligence, homeland security, and IT modernization and government transformation. Mission Statement for Veterans: "CACI employs veterans at every level of the organization, from staff to senior leadership. We work side by side with the Department of Defense and intelligence agencies, providing professional services and IT solutions to solve their problems and secure our nation's interests. We take great pride in service to our country and to those who have served in the military, recognizing that you have the talent, character, and commitment to duty that will help make our clients' missions successful. As a military professional, you understand these priorities and possess skills that translate to what we do at CACI. We invite you to explore our job opportunities to find the right fit as you take the next step in your career." Business: Boeing is the world's largest aerospace company and leading manufacturer of commercial jetliners and defense, space and security systems. For the latest veteran jobs postings around the country, visit the Military.com Job Search section. Check out the best employers looking for military skills and experience. There are several paths to success if you're getting out or thinking about getting out of the military after just one tour. Every service member leaves the military eventually. But if you've been in for more than one tour, your life is about to change substantially. Having a successful career in the military is a major accomplishment. And the 20-plus years you've spent in uniform mean you have a highly sought-after skill set in the civilian world. Since you've left the military, you have already had some civilian experience, but maybe it's time for a change in your education or career path. Military spouses are making a go of their dream jobs across a wide range of fields. You can too, by following these critical steps. Get special job alerts, offers and insider tips on making the most of your military experience in the civilian workforce. Nursing assistants are in demand nationwide, but that doesn't mean just any candidate will fill the bill.